Interested in becoming a member of the Langhorne Borough Business Association? It is great for exposure and networking. Please complete the form below to apply for LBBA membership. 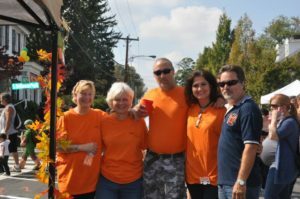 The Purpose of the Langhorne Borough Business Association is to foster and encourage the growth, progress and betterment of our community. Meetings are held the 4th Wednesday of the Month at the Jesse W. Soby Post of the American Legion, 115 West Richardson Ave, Langhorne Borough. Meetings begin at 7:30pm. Membership dues are $50.00 (per calendar year). We will follow-up with you shortly regarding your application.